I have been getting the error message “Http/1.1 Internal Server Error 29” on a NetScaler page soon after authentication. The customer environment has NetScaler 10.1 Build 118.7 nc VPX and StoreFront 2.0. In my case, it turned out to be the DNS resolution from the NetScaler to the StoreFront server. The issue will go away if you will replace the FQDN of the StoreFront server with the IP address of the SF server. This should be done on the Session profile that is attached to the VSERVER of the NetScaler virtual server as below. DNS resolutions are more likely to be the root cause in most of the cases however, there are other fixes as well which you could find if you search in Citrix forums. 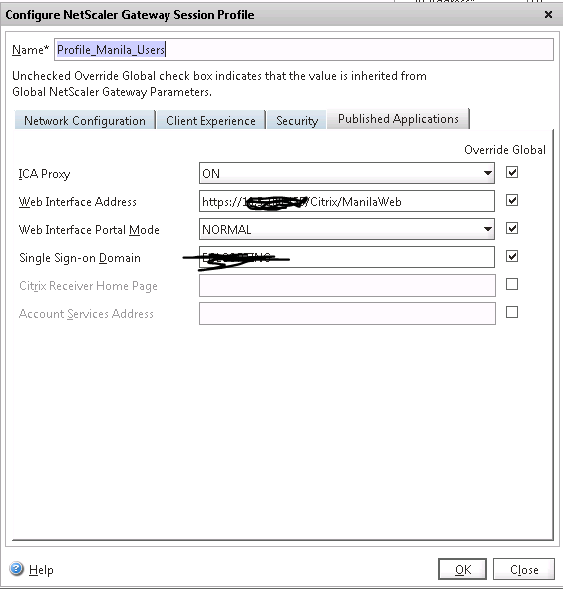 There is also another way to tackle this if you dont want to use the IP address which is to add the local DNS Server on the Netscaler and ensure that there is a host entry for the StoreFront server.